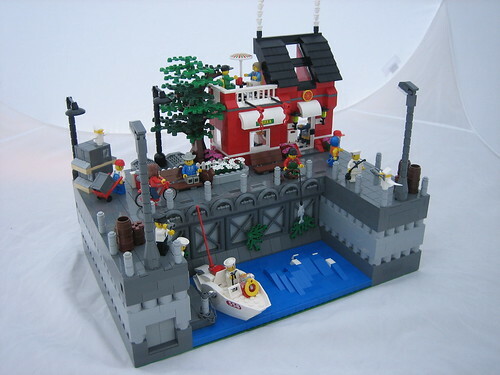 Brick Town Talk: Making Waves - LEGO Town, Architecture, Building Tips, Inspiration Ideas, and more! Harbor Town, USA - (BTT) Sometimes you just need a little break from the hustle and bustle of city life and take a moment to enjoy the briny smell and soothing sound of the ocean. Feel free to try your luck at catching your own dinner, but know that there is no shame in letting others do the hard work by ordering up a white clam pizza to go.